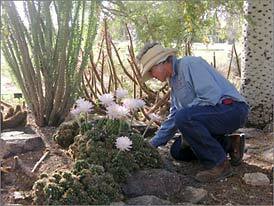 Joseph Wood Krutch and "The Desert Year"
While working with the University of Arizona Campus Arboretum to establish the Joseph Wood Krutch Garden Florilegium, we have learned much about Joseph Wood Krutch and have come to understand why the garden was dedicated to him. 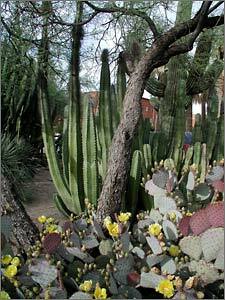 Krutch had traveled to the Southwest a number of times as a tourist and felt a kinship with the Sonoran Desert. During his travels he found himself in some “mood” and wanted to explore the charm exerted by this country of cactus and mesquite and creosote bush. 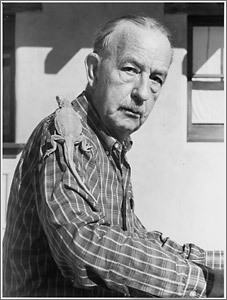 In 1951, he decided to spend a 15-month sabbatical in Tucson to immerse himself in the land and its plants and animals which would to enable him to truly see and learn about the Desert Southwest. In his book, The Desert Year , first published in 1952, he tells us what he came to know and feel about the Sonoran Desert. In order to truly see the desert life around him, he found he needed to continually observe and be aware of the land and its plants and animals. Although he found this continuous observation and awareness a challenge, he believed it was the only way of truly living with the land. Krutch realized this land did not have universal appeal. It was not easy and luxurious. To some it was merely stricken. He believed that all life in the desert finds the dryness to be normal. For plant life, this dryness creates a natural spacing where plants are not crowded together, enabling one to easily walk about the land. He discusses the way all living things adapted and learned to endure the austerity of the desert combining oddness of form with ways to flourish under what seemed to be impossible conditions. Referring to these adaptations as the wisdom of the desert he believed, we could learn from this wisdom by living with what the desert had to offer. The Desert Year was awarded the John Burroughs Medal for Natural History. It is a remarkable book about our desert written by a man who understood long before the environmental movement began the importance of humans learning to live with their environment. This appeared in the July 2016 issue of The Desert Breeze, the monthly newsletter of the Tucson Cactus and Succulent Society.